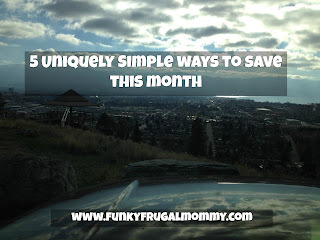 When it comes to saving money, you should be paying attention to the small things. If you take care of the pennies, the pounds will take care of themselves, as they say. However, there’s one big factor you need to have in the back of your head if you’re thinking of moving home, and that is: buying the wrong property could be the biggest financial mistake of your life. Below, we’ve outlined a five-step cheat sheet to ensure you don’t end up regretting what should be the biggest investment of your life. It’s important to think about what’s driving your desire to move home. What is it, exactly? If you’re thinking of moving on up just because you’re a little bit restless in your current property, then you should probably stay put. Restlessness can come and go: buying the wrong property will hang around your neck for the rest of your life. While good things can come from knee-jerk reactions, you’re opening up the risk of making a mistake considerably. Be sensible! Falling in love with a house is one thing, but it’s not everything when it comes to buying a new property. Just as important - maybe even more important - is the area in which the house is located. If you don’t know this area well, then you’ll have no grounds for complaint if later on, when you’ve moved, you suddenly discover that the neighborhood is completely inappropriate for your needs. If you’re not from the local area, you’ll need to find ways to thoroughly research the area that you’re hoping to live in. A home can look pretty from the outside. When you walk through the front door, it can look even better. You can fall completely in love with the design and charm of the property, which can prompt you to make up your mind: you want to buy this place. However, the facade is just that: a facade. That can be changed quite easily. What’s going behind the walls and under the carpet? For that, you’ll need a home inspection, which will flag up any current or potential problems with the property. If you don’t get an inspection conducted, you might wake up one day to a problem you never saw coming! Whenever you buy a house, you have to think about what you’ll do with it the long term. What’s the plan? For example, if you’re planning on having a handful of children within the next few years, then buying a small home today probably isn’t the best idea you could have. Think regarding 5, 10, 15-year plans before committing to buy. Finally, the big question: can you afford to buy the property? It’s always tempting to go a little bit over budget if you find your dream house, but will that be a good decision once the novelty of owning the property has worn off? Most probably, yes!